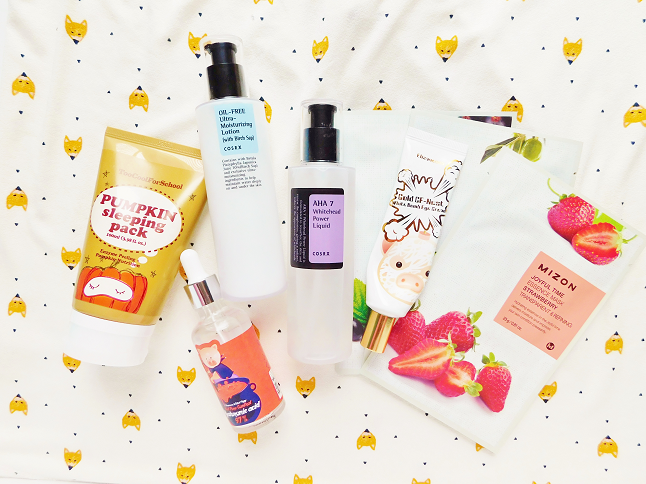 It's time for a skincare update! I last shared my skincare routine with you all in Summer but now that the season has changed and it's gotten colder I've switched to more moisturizing products to combat dryness in autumn. 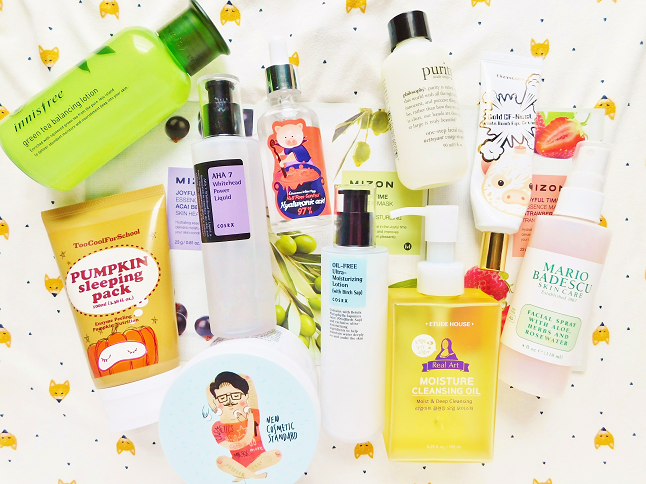 My skincare posts are always long so let's just started! I know I probably shouldn't have to mention that the first thing I do in the morning is to splash cold water on my face but since I layer a bunch of products at night I feel like it's a necessary to get rid of my nighttime layer. Next, on a cotton round, I apply some of the Mario Badescu rosewater facial spray. I know this is a spray and not a toner but I like to use it as a toner because it's that amazing! My face feels fresh yet hydrate after I apply this on. On days, when I didn't get enough sleep I roll on my trusty The Saem eye stick. I keep this in the refrigerator this way the coolness can wake me up in the morning. Now, I squeeze out as much leftover essence from the mask packaging of the previous night's mask. I pat in the essence and wait for it to absorb. After the mask layer has dried I apply a little bit of the Innisfree lotion to keep my skin moisturized. This bottle lasts a long time but I'm almost finished with it and searching for a new essence/emulsion. Any recommendations? Next, I apply my current moisturizer by Cosrx. I love this lotion! It's light, oil-free and had a lemony scent. It's the perfect moisturizer to use if you are layer skincare products like me. Yup, I'm still using this eye cream. I think this is my 6 tube? I'm still using this suncream by Etude House. It' dries quickly so I can apply my makeup right away. If I am wearing makeup that day I use this makeup remover to remove most (but not all) of my makeup. I mainly just focus on removing my eye makeup. 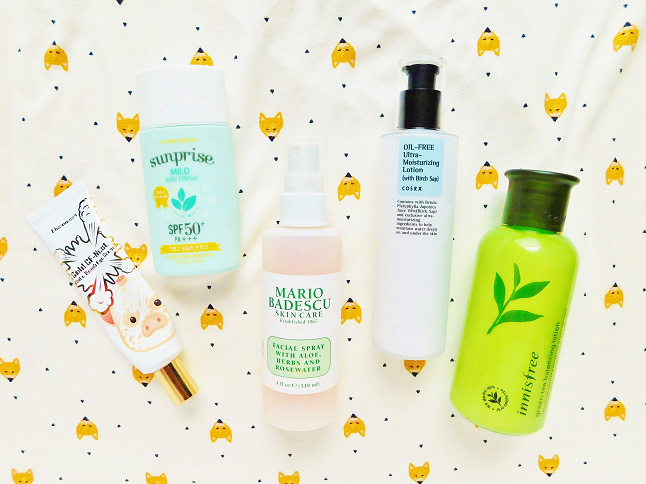 My double cleansing routine can get rid of my face makeup. 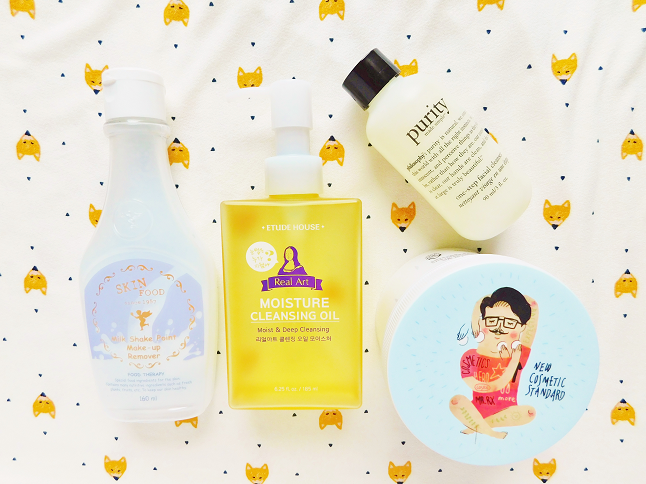 I've added a couple of new products to my evening routine, one of them being this cleansing oil bu Etude House. I use two pumps and massage in the product and watch the makeup melt off my face. I splash lukewarm water to remove the cleansing oil and move to my second cleanser. Now I use a thicker gel-like cleanser to remove any remaining product, such as sunscreen and makeup. Splash more water to remove the cleanser and pat in the water (I don't use a towel because of #germs). I switched from the Cosrx One Step Pimple Pads to the Moisture Up Pads because of the weather. Both work well with my skin type but I do prefer the original to the moisture pads. The Moisture Up Pads are so those with a dry skin type and the Pimple Clear Pads are for those with oily skin. Another new product I've been using is the AHA Power Liquid by Cosrx. I've used the BHA Power Liquid so now I'm using the AHA one to see if I have better luck with this one. I haven't made up wheater I like this product or not. I promise to make a post on AHA and BHA soon! Mask time! The Joyful Time Essence Masks by Mizon are my favorite! I was going to buy a vitamin c serum but while I was browsing Amazon I found this Hyaluronic Acid Serum by Elizavecca. The packaging caught my eye's because it looked spooky cute (this post was originally going to be posted in October). Hyaluronic Acid heals and combats against early signs of wrinkles, which is why I decided to get this serum instead of a vitamin c serum. I will write a review on this product soon! Almost done! I apply one thin layer of this moisturizer again. It's eye cream time again! 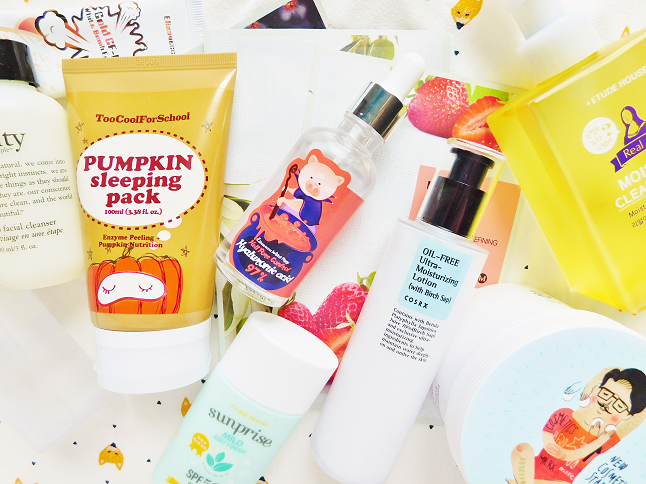 Finally, I apply another thin layer of the Too Cool For School Pumpkin Sleeping Pack. I adore this sleeping mask so much! It's also very a fall-appropriate product. Review here.